A refined, in-depth system of yoga that emphasizes safety, optimal body alignment, individual adjustment and attention to detail. It is uniquely suited to all levels of fitness and physical conditions, including the most inflexible. In addition to addressing the needs of healthy people, the Iyengar method is now widely acknowledged by the international medical community for it’s documented efficacy in the treatment of various medical conditions and illnesses. … taught in the tradition of Yogacharya B.K.S. 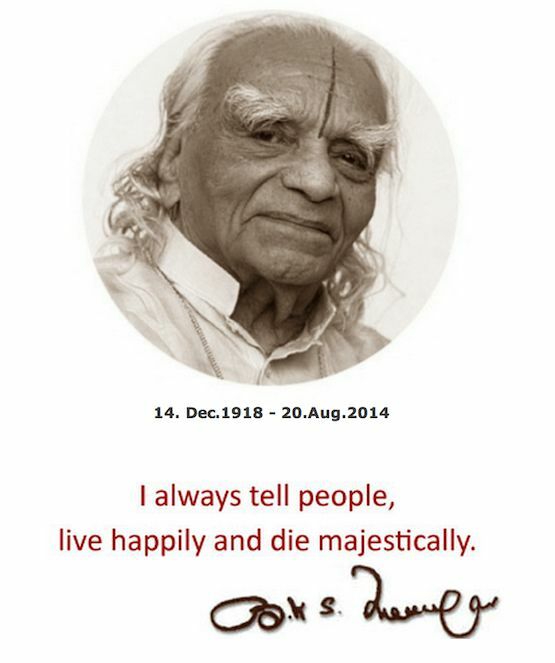 Iyengar (Dec. 14, 1918- Aug. 20, 2014). Named by Time magazine as “one of the 100 most influential people in the world, ” Mr. Iyengar is widely regarded as the most influential teacher in terms of shaping the way yoga is taught in the West today. He made yoga relevant to modern life and accessible to a broad base of individuals, no matter their physical and/or mental abilities. Mr Iyengar is the author of the classic Light on Yoga, called the “bible of yoga,” which has been the source book for generations of yoga enthusiasts. Classes taught by certified Iyengar yoga instructors are based on the teachings of this yoga master. The system of teaching is methodical and progressive, emphasizing safety, alignment, and the development of exquisite self-awareness through precision in movement and attention to the subtleties of body, breath, mind, and spirit. BKS Iyengar revolutionized the art of yoga by introducing and incorporating the use of supports called “props” to facilitate learning and accommodate safe appropriate progress. New students who have studied other forms of yoga often remark that this is the first time they’ve been instructed in how to do the poses. One of the strengths of Iyengar Yoga is that it is truly a system, a method, not just an amalgam of bits and pieces gathered from here and there and patched together. Over his 78 years of practice and 75 years of teaching, B.K.S. Iyengar studied, developed, and refined his method in such a way that there is an inherent consistency that enables serious students to learn and growif they are willing to put in the time and effort. Iyengar Yoga Certification requires the most rigorous degree of testing and training in the country. Worldwide, the Iyengar certification system is not-for-profit and entirely merit-based. No private individual, organization, yoga studio or company can issue an Iyengar Yoga Teaching Certificate. Teachers who earn Iyengar Certification have put in years of study and practice and passed rigorous, standardized assessments. All instuctors at B.K.S. IYENGAR YOGA STUDIO OF TUCSON are Iyengar Certified.The system of certification ensures students of a knowledgeable and dedicated teacher who can observe their practice with a long range view for safety, health, and overall wellbeing. Certified Iyengar Yoga instructors teach the method set forth by B.K.S. Iyengar without mixing in other styles of yoga. They maintain a regular personal practice, continue their training throughout their lives with senior teachers or by studying at the Iyengar Institute in India, and hold to Ethical Guidelines. Certification also ensures that the teacher is connected to the broader community of Iyengar Yoga teachers regionally, nationally, and internationally which offers an unparrallelled wealth of experience, knowledge, expertise, and support to it’s teachers and thereby the students participating with them. Iyengar Yoga is as much a community as a method for teaching and study. owner of the B.K.S. 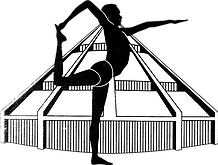 Iyengar yoga studio of Tucson, has practiced, studied, and taught Iyengar yoga since 1982 and has directed the B.K.S. Iyengar Yoga Studio of Tucson since 1997. Currently, she holds an Intermediate 1 level of certification. Her primary teacher in the Iyengar method is Manouso Manos. Previously, Katherine lived in New York City and taught hatha yoga there. Hosting many workshops in Tucson with Manouso Manos and Dean Lerner, Ms. Maltz has seen the Iyengar method grow in the local community. Her studio also hosted the 2004 certification exams for teachers in training from throughout the United States. Katherine counts it a privilege to have studied with B.K.S. Iyengar, his daughter Geeta, and his son Prashant in Pune, India as well as in Paris, and the US. Teaching, on-going studies, and spending time with her husband of 40 years (Gerry) keeps Katherine busy. She honors her practice and her teachers (primarily Manuoso Manos and Dean Lerner) and is grateful to their influence in her teaching and her life. an RN for 35 years, began studying Iyengar Yoga in 2005 with Alexis Bachrach and Manouso Manos. Terese became certified in 2012 and studied in Pune, India with the Iyengars in 2013. Terese continues her study of Iyengar Yoga with Manouso and locally with Katherine Maltz and Ben Thomas.